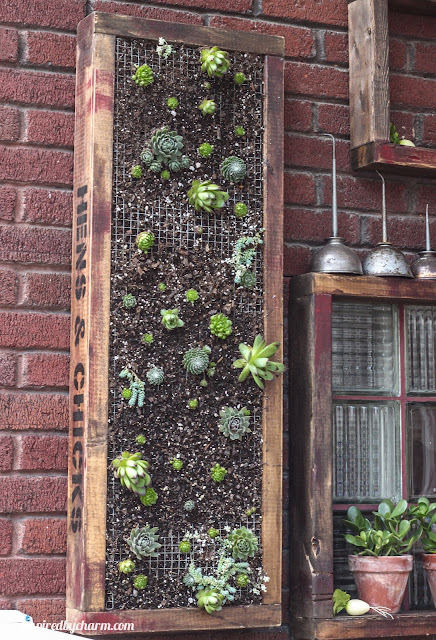 As someone with limited outdoor space, I'm a sucker for vertical gardens. (see my vertical herb garden for proof!) . So when I saw this project over at Inspired by Charm, I fell head over heels. He made the the whole thing from scratch and its just about as perfect as it gets if you ask me. Run over to Inspired by Charm, for all the details on this and other lovely projects. I have seen these online and I am so intrigued! I need one. I especially love that she put it in that cool box. OMG!  I'm featured on Brooklyn Limestone. You seriously just made my weekend. So, so, so wonderful! Thank you!! This is the most brilliant idea! Very cool! I love the way it looks and I love succulents. Hmm.... something to keep in mind for the future. Currently, I have decked out my terrace with flowers and a peaceful buddha statue. this is such a great idea! we tried doing this as well from designsponge...we posted a blog about it as well...let us know what you think!